It's time for Screenshot Saturday number twenty-three for my OddBall game! This week I've been working on various tweaks all over the place, but mostly I've been working on adding the magnet object to the game. The code for this has long been done, but I needed to create the model, texture, and animated "absorb" sprite for it. Today I'm happy with the current state of the magnet and the screenshot above gives you an idea of how it looks. 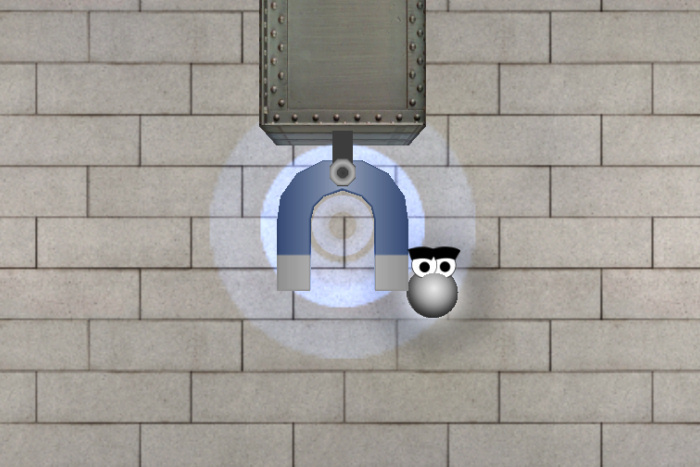 As you would expect, the magnet affects only the metal OddBall. It actually opens up some interesting and fun game abilities like bending your shots around magnets and changing the direction of the metal OddBall midair. It's a lot of fun shooting a metal OddBall through a series of magnets and seeing how it reacts.